Life has many curves along our journey (can't see ahead) and some of that path is interrupted with pretty rocky terrain - that is where we learn to dance more nimbly and remind us to dance the rest of our life ... and stay flexible mentally, emotionally, physically and spiritually. Life forever remains a dance in love, light and laughter. I was told one day by an elder voracious hiker (PCT, CD and AP trail type of a through hiker) who is also a nurse, that he noticed those that no longer can jump lightly lose their ability to balance and hence to walk and that migrates slowly to health. Soooo, keep on dancing with a light jump now and then an keep nimble in life. One of my favorites is being the baglady, with Terry Jorgensen as the old man, from Laugh In ... anyone remember at the assemblies? AND guess what? I am still a baglady and always have been and will continue to be. Something of a whimsical nature reminds me that I was BE-ing me. Another is the Husky Howl nights with dancing and helping with the Spanish booth as the "gypsy lady". Candy Carlson-Smith added a comment on her Profile. 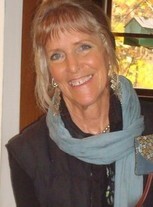 Candy Carlson-Smith updated her profile. View. 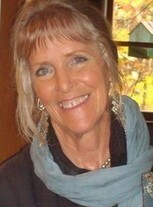 Candy Carlson-Smith added a comment on her Profile. New comment added. Candy Carlson-Smith posted a message. I was wondering also about the 50th?? Candy Carlson-Smith posted a message on Kurt Carlson's Profile. New comment added. Candy Carlson-Smith posted a message. New comment added. Hey Terry, you still make people laugh (even after so many years), one really touches so many as a domino in life laughing. I still get comments with our 'laugh-in' episodes on stage and I still laugh about them ... joy is timeless eh? Candy Carlson-Smith changed her profile picture. Candy Carlson-Smith changed her "Now" picture. Candy Carlson-Smith added a photo to her profile gallery.